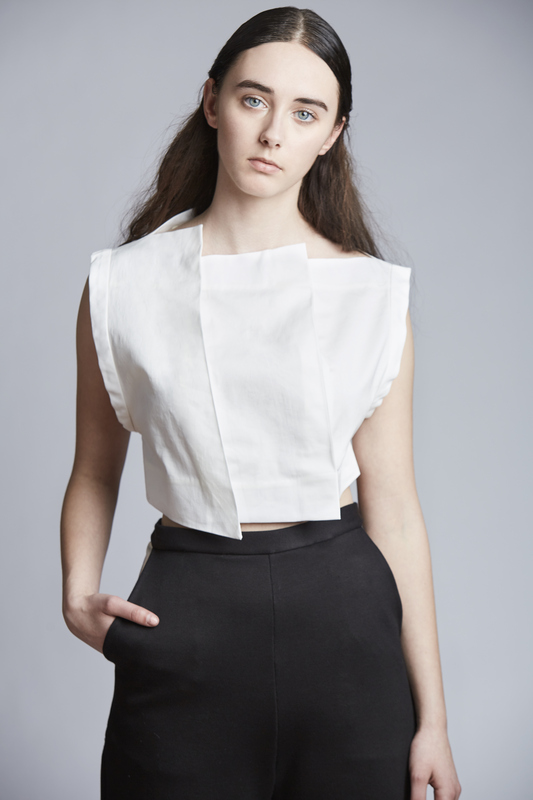 RHODAWONG's most popular Gemma top is our take on a signiture crop top. The asymmetrical pleating all around frames the neckline as well as adding dimension on the body. Pair it with high waisted bottoms or layer over a turtleneck in the winter.